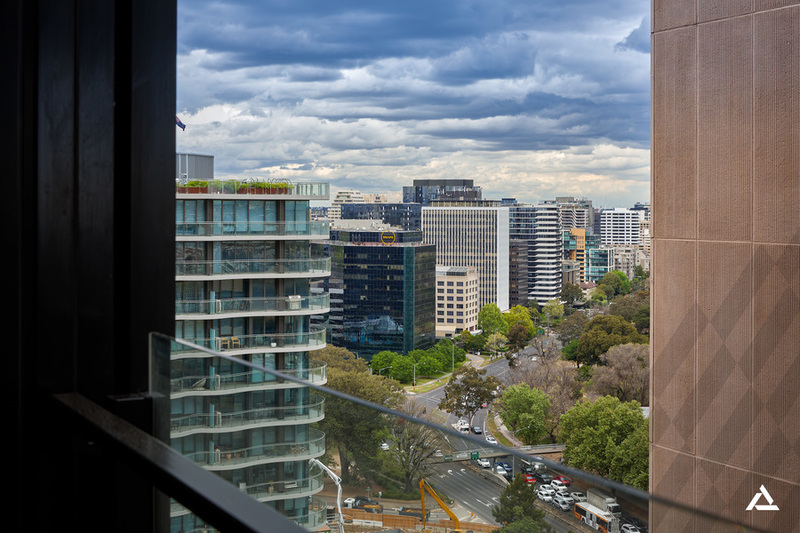 Positioned midway between the iconic Royal Botanic Gardens and Albert Park Lake, this luxury apartment serves up a world-class blend of liveability and accessibility. 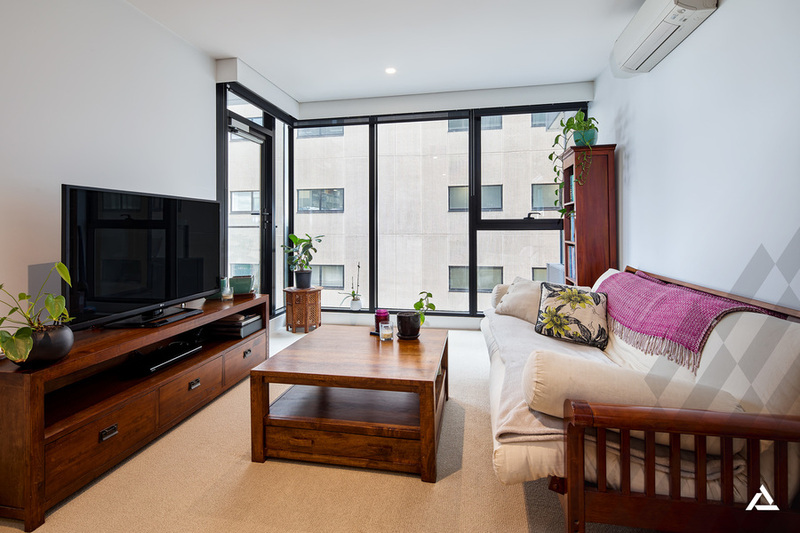 The 1-bedroom domain, with $400 weekly rental, is located on the 19th floor of the prestigious Fifty Albert building, set within one of Melbourne's most prestigious precincts. It captures an elevated view over Kings Way to the canopy of trees that line Albert Park Lake below. 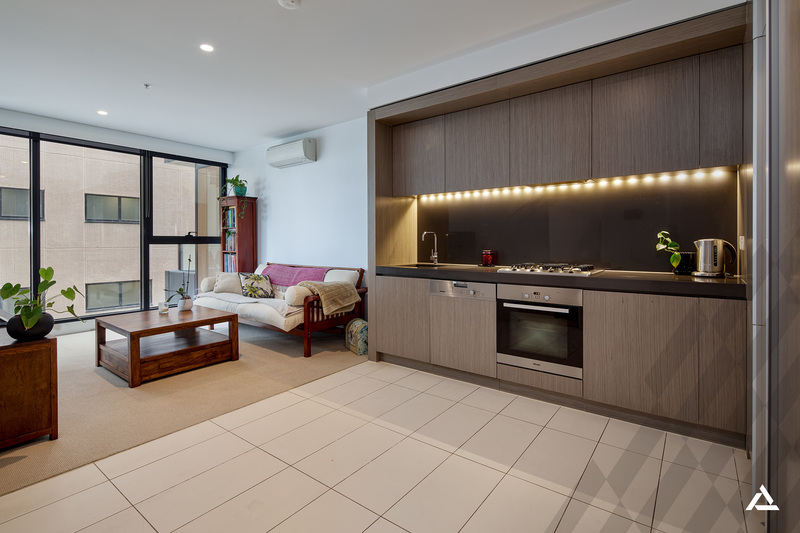 Fifty Albert is walking distance to the Melbourne Sports and Aquatic Centre, The Tan Track, leafy gardens, transport and bustling cafes. 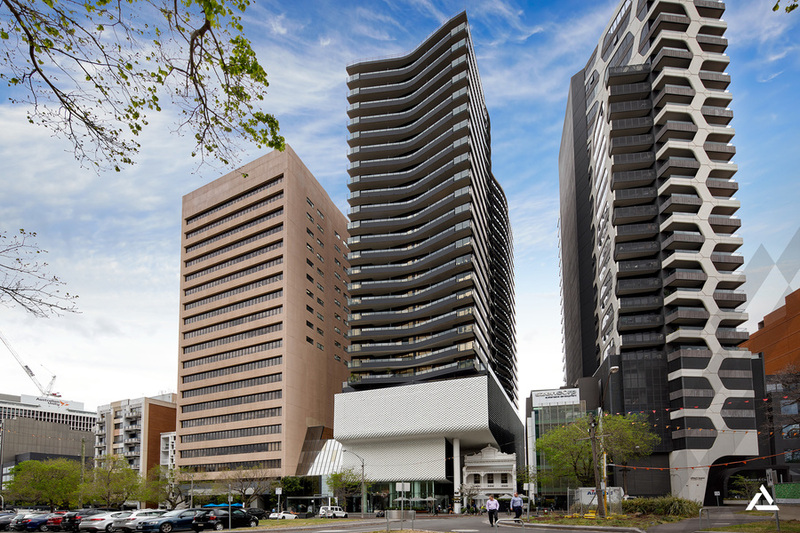 A short tram ride delivers residents of this state-of-the-art building to the arts and entertainment heart of Southbank, to the CBD, to South Melbourne Market and beyond to Melbourne's magnificent beaches. 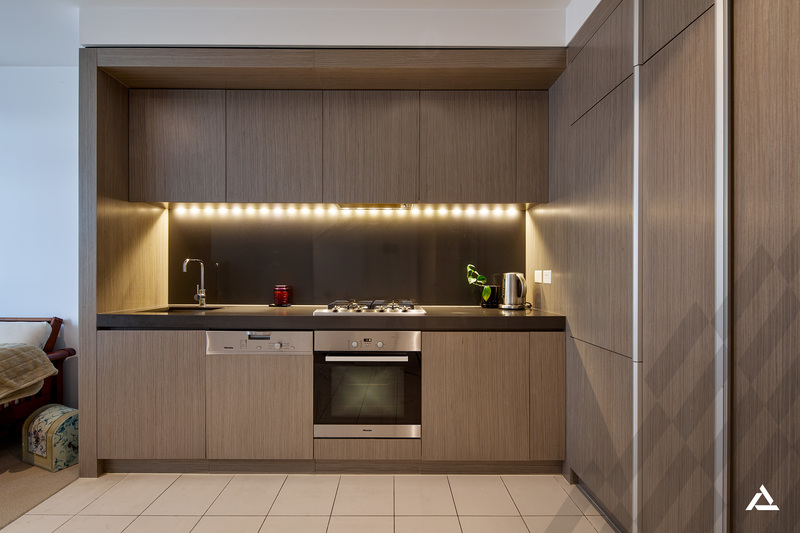 The layout features open-plan kitchen, meals and living with floor-to-ceiling windows and balcony access. A stone and stainless steel kitchen sets a deluxe tone upon entry, complete with Miele appliances including a gas cooktop and a partially integrated dishwasher, underbench lighting and a fully-integrated fridge freezer. The light-filled ambience extends to a spacious bedroom featuring a mirrored robe and floor-to-ceiling glass doors that open onto the covered balcony. 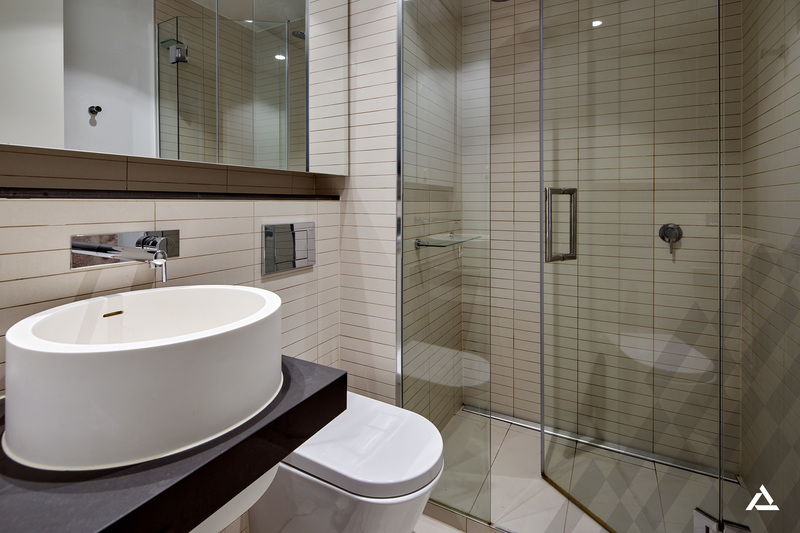 A stylish bathroom with floor-to-ceiling tiles, a walk-in shower and a vessel sink completes this inspired South Melbourne space. 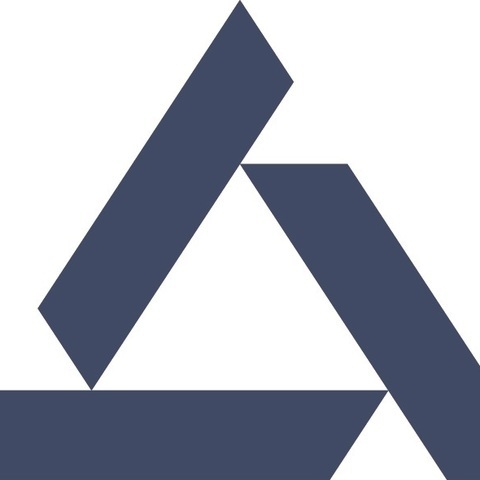 Other appointments include split system heating and cooling and a European laundry. Fifty Albert residents enjoy access to outstanding amenities including a sauna, a health club and day spa, a communal landscaped rooftop terrace with panoramic city and bay views, a spa, a sun-deck, barbecues, a concierge, a gymnasium, a stunning entrance foyer, security access and more. 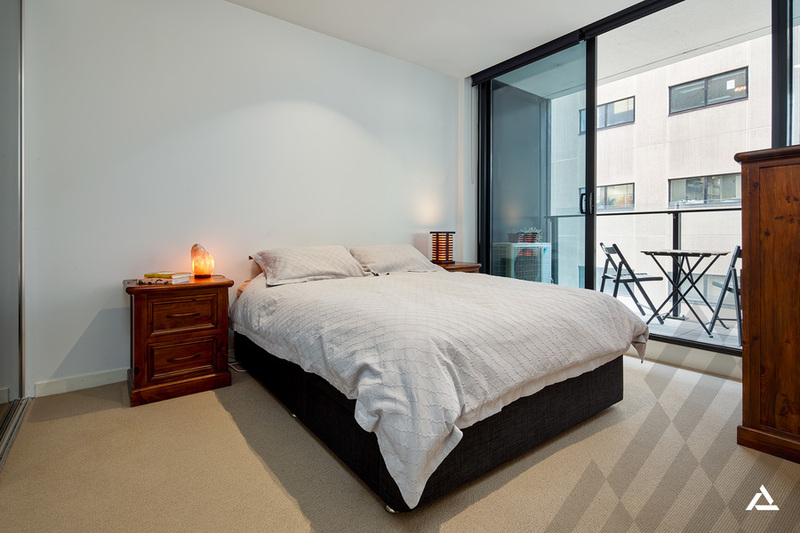 Invest or nest in a sophisticated South Melbourne address.